On February 7th, we are starting something new. 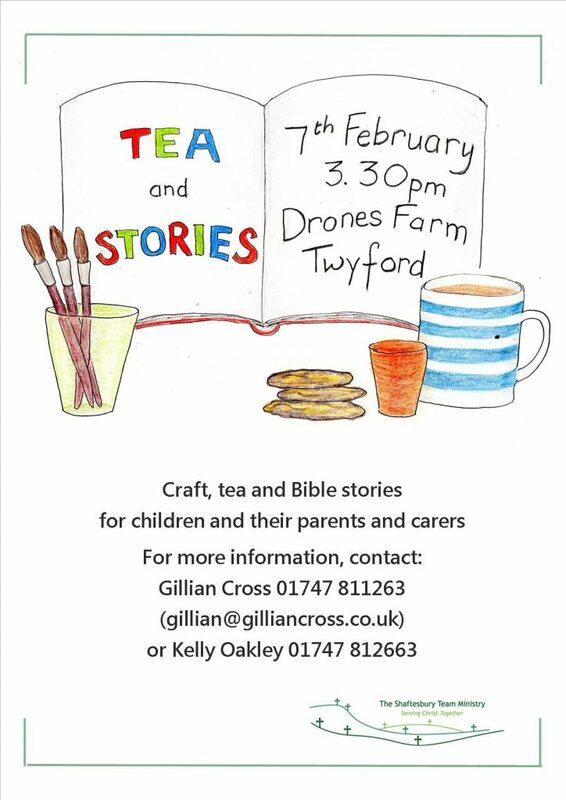 Children and their parents and carers are invited to Drones Farm, Twyford, for an informal session of craft, drama and Bible stories. It will be most suitable for children up to the age of seven, but older siblings are welcome. For more information, contact Gillian Cross (01747 811263 gillian@gilliancross.co.uk) or Kelly Oakley (01747 812663).